This photograph is taken from the level of the river, looking toward a man who is crossing the river on rocks and a covered bridge linking the high banks in the distance. 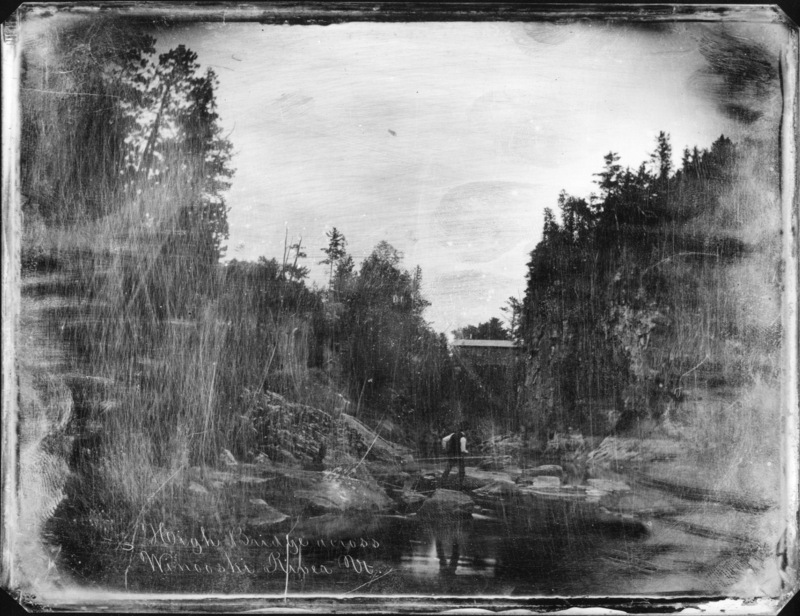 This view was probably taken at the site of the present Lime Kiln Bridge in Colchester, Vermont. Easterly, Thomas M. (Thomas Martin), 1809-1882, “High Bridge Across Winooski River,” Digital Vermont: A Project of the Vermont Historical Society, accessed April 18, 2019, http://digitalvermont.org/items/show/1103.